This post is for parents and elders, reminding them that summer holidays are the best time in the year to teach kids, a language. Especially, the mother tongue. You can teach an extra language and I am writing for Urdu, because in many Indian states, children don't have the option to learn Urdu in schools. The third language in schools is generally not Urdu. Hence, they are unable to learn it properly. It is time to sit with kids and teach them Urdu. In Muslim households, Urdu words are known, grammar is known and it is spoken. What is needed is just to read the script and write. So for that, just a small effort is needed. Barely 20-30 min a day, it doesn't take more. As most kids are familiar with the script too because they learn the Holy Quran [Arabic], it is even more easy. But it needs a bit of discipline and patience. Subscribe to children's magazines. Kids like them, make them read. You can start with a Urdu primer also. There are many Urdu magazines in India. NCPUL's Bacchon Ki Dunia, Hilal, Noor, Umang and Payam-e-Talim have good circulation. Companies are firing employees, no job creation, businessmen are worried, forget the poor. You are getting hurt by the bleeding economy or lack of development, but you aren't perturbed. No promise is fulfilled--either on developmental front or ten heads for each Indian soldier's head, yet, vote will go to them only. No surprise. This is the stage of fascism, it leads to hysteria. If leader(s) says that there is too much population and solution is to commit suicide, they will say, 'Yes', he is right, some may even accept it. The niddle-class that has money, house, shops, so can survive, face inflation longer. How can they accept that they were wrong, after all, they have believed in him with so much intensity that it will shatter them. Media will not let this hysteria level go down. After all, the propagandists made efforts for half-a-century to get their men enter, influence and own media, while others had no inkling. As far as Congress is concerned, it is responsible chiefly for this crisis. For decades, so much lies were spread in this country that a divide between Hindus and Muslims was created. So many half-truths were spoken, propaganda of others was allowed that for most Hindus, Kashmiri or Muslim became an enemy. They kept talking of article 370 but would never tell that anyone could go to Kashmir but there are states like Nagaland where any Indian requires a permit to even step into the state. And it is not just Kashmir. It is on each and every issue. Common Civil Code, Haj Subsidy, Talaq, just think and there are innumerable issues. Congress was the major party and was expected to tackle but it was never interested, in fact, complicit. And, where is the space in obsessed brain to even think--every cell in your brain is occupied. 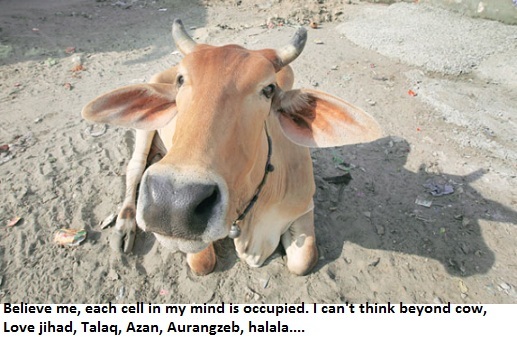 From Aurangzeb to worries over Zaheer Khan's marriage, the sound of Azaan to Cow, everyday there is so much to think of. They can form illegal armies that will kill people for no crime, in the name of cow vigilantism or anything else. Yet, they will remain paranoid, scared, worried about growing population of the Muslims. For right-wing Indians, there is nothing left, except worrying about Islam and Muslims. So all this is not going to end soon, it will take time. Let's wait and hope that some day this fever will come down. In the biggest terrorist attack in India this year, armed Maoist militants killed 25 security personnel in Chhattisgarh on April 24, 2017. The heavily armed ultra-leftists ambushed the Central Reserve Police Force (CRPF) personnel in Sukma district in the southern part of this central Indian state. The security personnel were like sitting ducks for the Maoists. Police said that the CRPF party had stopped for lunch, when they were ambushed. 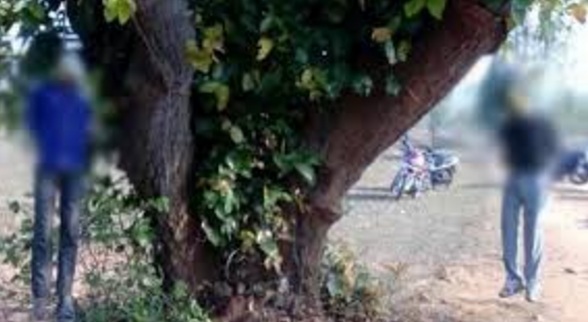 This is the second major attack in Sukma district of Bastar region within 1-1/2 months. Around 90 CRPF men had left Burkapal camp near Dornapal, for patrolling and security of the road laying work when they were attacked. While 25 jawans were killed in the firing, many others were injured. 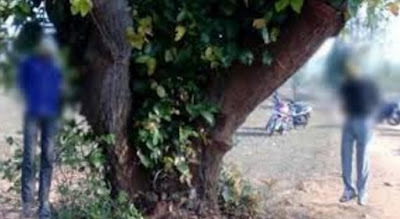 Some Naxalites were probably killed and injured in the cross-firing. The injured jawans said that they were outnumbered by the Maoists. 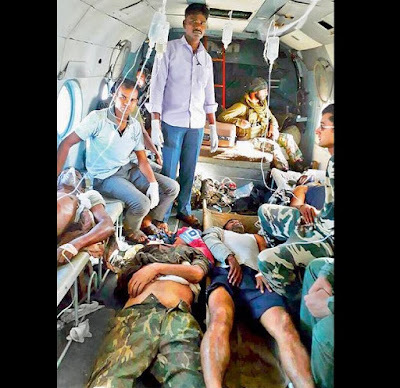 Sher Muhammad, the CRPF personnel, injured in the attack, said that he shot over half-a-dozen Maoist militants. The security establishment in the entire country was alerted after the dardevil attack. 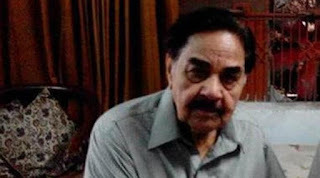 Legendary Urdu writer MA Rahat is no more. He breathed his last in a hospital in Pakistan. He was a gifted author. I have read classics in English, Urdu and many other languages, do enjoy Intizar Husain as well as Naiyer Masood's writings, but at the same time I must say it that MA Rahat was in a league of his own. When he wrote Kala Jadoo, almost all the major digests published it in India. Kotha is another masterpiece. Once you start reading, it is simply unputdownable like most of his works. The list is endless. Living in Pakistan, he recreated the North Indian society of yore--early 19th century, its culture, to perfection. Just because he wrote in popular digests, he was not given his due. When Kala Jadu was published, it created a sensation across the sub-continent. It was published in monthly Urdu digests and readers waited for the next installment. However, the writer probably got no royalty. The stories were simply copied and published in India. In the post Ibn-e-Safi era, it was his writings that made people rush to bookstalls every month to buy Urdu digests. With him ends an era. I don't think, there would ever be an author like him. Someone who would write so brilliantly, weave a world beyond anything you have ever heard or seen, and yet be so prolific. MA Rahat was a product of his time--a writer born in a language, a culture that had reached its epitome and though it was destroyed by partition, he grew up in the era when Urdu literature was at its peak. That era has gone. I don't think there will be an MA Rahat, in future. First Mohiuddin Nawab and now him, two giants have passed away. Feel Pakistan and Urdu world should have given the due to these authors in their lifetime. Rest in Peace, MA Rahat sahab. India is a country where over 70% people are non-vegetarians. This newspaper in its lead story mentions, 'contrary to popular perception, majority of Indians are non-vegetarians'. How innocent! It goes on to 'inform' us that 71% Indians are non-vegetarians. So how this perception was created? This paper should have answered it. The micro-minuscule communities, mostly of a cetrain caste group, who run the Hindi newspapers are traditionally vegetarians. They do it with missionary zeal. Abattoirs are termed 'Qatl-khane', not 'Bucharkhana' or 'Salughterhouse'. They do everything to target meat eating habits and link non-vegetarianism with 'tamsik pravrittti', 'violence, evil influences' et al. 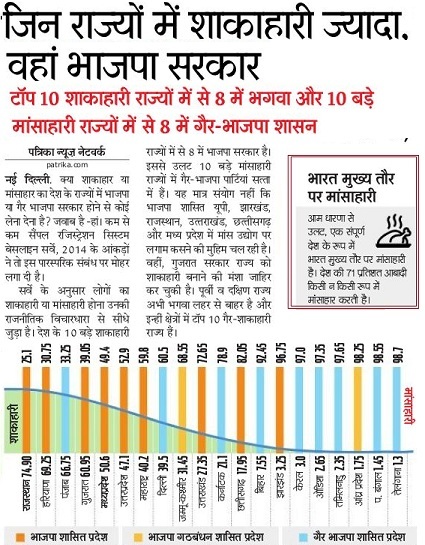 This is [Rajasthan] Patrika, a mass circulated daily, which is published from half-a-dozen states and has huge circulation in Rajasthan and MP. Similarly, Dainik Bhaskar is largest circulated daily in Rajasthan, MP and other North Indian states. These papers aggressively campaign against non-vegetarians. If there is a religious function, they publish half to full page reports, with headlines against 'non-vegetarianism'. They run campaigns against slaughterhouses and force authorities to close them. The owners may not belong to caste that is even 1% of Indian population. But due to control over mass media, they are able to project 'set of values' and decide what is moral, what is immoral. When right-wing groups demand shifting of meat shops, these papers side with them, openly take stand. The owners have NGOs and groups linked to them, who then hold candle-light vigils and support the movement. The paper then publishes them prominently to create false perception that how bad non-vegetarianism is. They try their best to force the people involved in non-vegetarianism, out of their jobs. The paper tells that North Indian states have higher population of vegetarians are pro-BJP. It is all a reflection of the same 'hegemony system'. You own papers that sell in millions and are read by common folk across villages. You run campaigns asking people to shun non vegetarian food, even try to stop giving eggs to tribal kids in 'angan-wadis', which not only affect their nutrition but also goes against tribals' age-old food habits. But then, that's how it goes. The power of media. Unfortunately, people on the ground, fail to realise how easily this manipulation is done. Need of the hour is to take on these manipulators head-on and make them shed the facade of being 'unbiased' media houses. 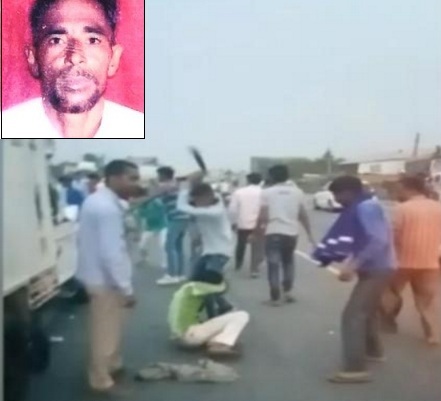 Once again, cow vigilantes have killed a Muslim man. Pehlu Khan, a middle-aged man, had gone to buy bovines for milk. Self-styled cow protection group members attacked Khan and his companions. The man was murdered in cold-blood. Vipin Yadav, Kalu Ram Yadav and Ravendra Yadav--the three culprits have been arrested. This horrific incident has occurred in Alwar district in Rajasthan. The private militias, known as 'Gau Rakshaks' [euphemism for illegal extremist groups who kill innocents in the name of cow] are again responsible for the murder. Khan who belonged to Nuh, Mewat had gone to buy bovines. On way back, the mini-truck was stopped by 'Gau-Rakshaks'. He showed the receipt that he had bought the cow legally. But the 'Gau Rakshaks' attacked him, kept thrashing him until he fell unconscious. He was admitted to hospital where he died because of the injuries. The police didn't reach the spot until the incident occurred. The incident has occurred in BJP ruled Rajasthan. Here, earlier too Gau Rakshak groups have attacked Muslims. 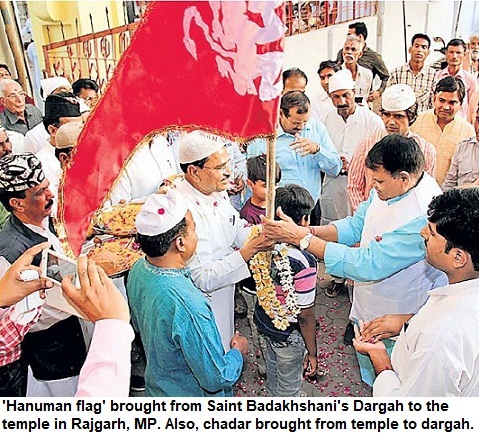 Chief minister Vasundhara Raje has failed to rein in the extremists. Akhlaq, father of an armyman, was killed in his house at Bisadha near Dadri in Uttar Pradesh just on mere suspicion that there was beef stored in the fridge of the house. Last year Minhaj Ansari was killed in Jharkhand. Besides, a man, Mazloom Ansari, and a teenaged boy, Imtiaz, were hanged by Gau Atankis earlier. Mazloom and Imtiaz' bodies were found hanging by the tree. Clothes had been stuff into their mouths. Even this incident couldn't shake 'national conscience'. The incidents have occurred across India--from Jammu and Kashmir to Karnataka, Himachal Pradesh to Haryana, Jharkhand to Madhya Pradesh and UP. Clearly, law-and-order has collapsed in the country. India is becoming one of the most dangerous place for minorities, especially, Muslims. We must record what is happening around us. For, we don't know what future holds for us.